Passing Michael Jackson, the Eagles now have the best-selling album of all time. And they're still terrible. Through sheer greed and avarice, the Eagles have brought on the long, slow decline of rock 'n' roll as an art form. “Jesus, man, could you change the channel?” Jeffrey Lebowski, Jeff Bridges’ character, asks, in a memorable scene from the Coen Brothers’ 1998 classic "The Big Lebowski." The soothing sounds of the Eagles’ “Peaceful Easy Feeling” are playing on the cab’s radio, but Lebowski isn't feeling it. “Man, come on, I had a rough night, and I hate the f*ckin’ Eagles, man,” Lebwoski pleads, giving rise to a thousand memes in the process. Unfortunately, Lebowski has messed with the wrong Eagles fan. In short order, he is yanked from the car by the offended cabbie and left stunned in the middle of the road. I thought of Lebowski, and let out a few pained sighs of my own, when I read Monday that the Eagles had passed Michael Jackson to become the act with the best-selling album of all time. The compilation “Greatest Hits 1971-1975” had been certified 38x platinum, pushing it ahead of Jackson’s “Thriller,” which is certified 33x platinum. Meanwhile, it was announced that “Hotel California,” the group’s 1976 opus, had chalked up 26 million copies in sales and streams, making it third on the best-sellers list. I thought of Lebowski, and let out a few pained sighs of my own, when I read Monday that the Eagles had passed Michael Jackson to become the best-selling album of all time. While there’s no doubting the group’s abilities to craft a catchy song, unassuming origin story, or the impact they’ve had on the music business since their founding in 1971, for better or worse, there are few groups — Bon Jovi, I’m looking at you — that I despise more. In fact, it’s precisely the things that make the group (and they are clearly a group, rather than a band, like the Beatles or the Stones) so appealing to the masses that have also made them so detrimental to music. Indeed, I believe that through sheer greed and avarice, they have singlehandedly brought on the long, slow decline of rock 'n' roll as an art form. Of course, on paper, the Eagles have everything I should love: memorable songs, colorful personalities and musical and vocal chops in spades. But their bland, soulless music, which I’ve always thought sounded like a cocaine bender coming out of my speakers, creates a quick rush that ultimately leaves you empty, and worse off, in its aftermath. They’re the epitome of corporatized music, putting the precision and perfection of their recordings above any edge or adventurousness. And if the epic 2013 documentary “History of the Eagles” is any indication, they’ve also made ruthless decision after ruthless decision in pursuit of the almighty dollar — friendships or redeeming artistic value be damned. But most of all, as producer Glyn Johns reportedly told the group while working with them in England on their second album, the Eagles' music may be pleasantly inoffensive but it is hardly rock 'n' roll. I know that millions of fans disagree, as evidenced by the group’s historic achievement this week. But millions of people eat at McDonald’s, drink Coke and munch on Snickers bars and Doritos, too. None of these things, of course, are satisfying, nor are they remotely good for you. But they do scratch an itch, just like the Eagles. The Eagles were inescapable when I was growing up in the 1970s and early '80s. 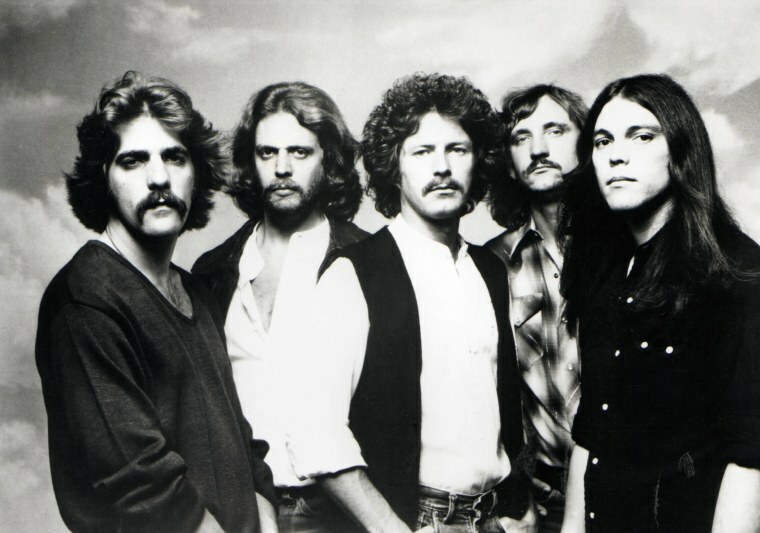 And “Hotel California” was at the center of countless stoned conversations about heaven and hell and “what it all means, man.” But while the group’s debut album had a certain charm, sitting comfortably in racks next to similar, albeit far superior country-rock efforts by the Flying Burrito Brothers and Jackson Browne, their coldblooded pursuit of stardom jump-started an evolution in the music business. As their following got bigger and bigger, the band’s already pretty blunt edges were not so gently shaved off until there was nothing but bland, inoffensive, paint-by-numbers music left. These albums now line the collections of record buyers — do the Eagles even have “fans”? — who, I can only imagine, were too embarrassed to buy actual easy listening or Muzak. At the height of it all, in 1980, the band disbanded amid petty squabbling over (of course) money and control, only to reconvene in the MTV era, for tons of cash, and with Henley and Frey firmly in command. Even the artists and bands whose music I despise — Billy Joel, the aforementioned Bon Jovi — seem to be at least true music fans, with a keen connection to and appreciation for their audience. Not so the Eagles, whose every action seems baldly transactional in nature. Now, I’m going to make one exception here. Joe Walsh, the Eagles guitarist, one of the great bad boys of rock, who gave the Eagles a kick in the pants when he joined up in 1975, is one of the greats. Long sober these days, Walsh has become renowned as one of the kindest, gentlest souls in the music business. He has also developed into one of rock 'n; roll’s most tasteful players, and head and shoulders above the guy who helped craft the notorious earworm guitar hooks of “Hotel California” and countless other hits. As for the rest of the them — and most especially Henley and Frey — well, I’m sure I’m not the only one who hasn’t given them much thought in the past decade. Of course, I’ve periodically had to go back through the group’s catalog — for reference purposes for work, mind you, or simply to try to figure out what all the fuss is about. And I’ve had heated exchanges with fans, and even some of my famous friends, about the Eagles’ place in rock history. But, ultimately, I always return to my conclusion that they’re nothing more than a soulless approximation of a great band, shiny but empty, pretty but vacant. Thirty-eight million records of a saccharine compilation sold? Give me the late, great Joe Strummer, whose birthday would have been on Tuesday, and the Only Band That Matters any day. CORRECTION (Aug. 22, 2018, 9:17 a.m.): An earlier version of this article misspelled the last name of the brothers who directed "The Big Lebowski." It is Coen, not Cohen. The article also misspelled the last name of the man who produced the Eagles' first two albums. He is Glyn Johns, not Glyn John.